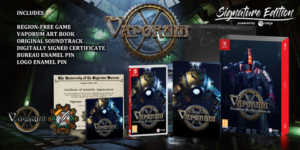 Vaporum is on a pre-order sale right now on Nintendo Switch and Xbox One (20% discount)! You can pre-order the XB1 version here. 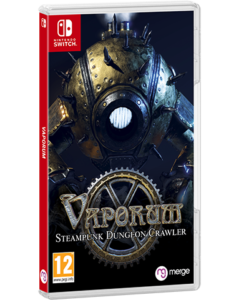 You can pre-order the Switch version here. It’s hard these days to get through to our existing and potential future fans. Let’s build a closer relationship! SIGN UP for our newsletter to receive direct exclusive content and news about our company right in your inbox! We’ll send you first-hand information on our upcoming dungeon crawler in development and even some exclusive content (soundtracks, concept art, screenshots, etc.) before the official channels.